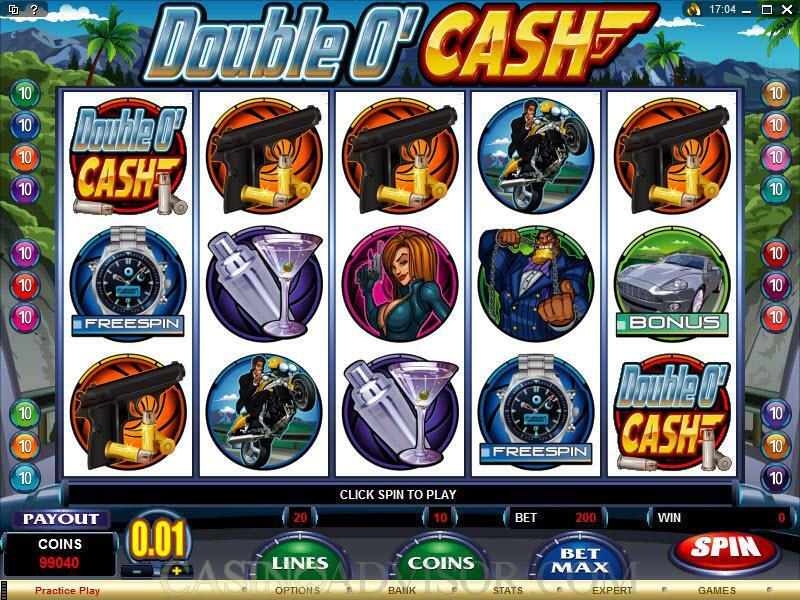 Double O' Cash is an intrigue-filled offering in the video slots category from Microgaming, a company that needs no introduction among casino software producers in the online gambling market. 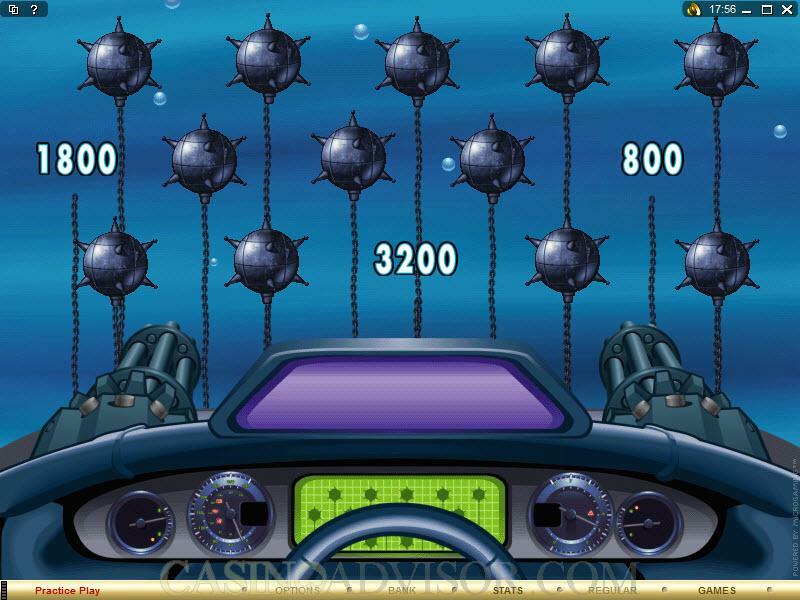 It is a five-reel, 20-line game, with a maximum wager of 200 coins. 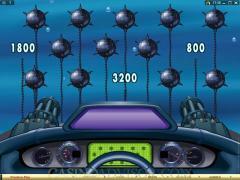 It is also a game with scatter symbols, which can trigger the Free Spins Bonus Game and the Bonus Mission Bonus Game. And for those people who are relatively impatient, the "Quick Spin" option speeds up the spin of the slot reel so that the results come up quicker. You will click the "spin" icon to begin playing Double O' Cash. And you can click the "Lines" button to indicate how many of the paylines you want to have active during any spin during play. Scatters can count anywhere; otherwise, the payoffs happen on those paylines which have already been activated. All the wins will pay from left to right only. Down toward the bottom left of the interface, there is a "Payout" button you can press which will bring up the various payouts that are available. There are five different screens that can bring this kind of information within the game interface, each of which can be accessed by clicking the "Next" button at the bottom. There are scatters symbols that will trigger bonus games. One of them is the "SportsCar" icon (which says "Bonus" on it) - three, four or five of them, coming up adjacent to each other on the screen will trigger the Bonus Mission game. Additionally, there are bonus payoffs that come along with this accomplishment, namely, 50 times the total bet for five of them in a row. There is another scatter symbol, which is the "Watch" symbol (which says "Freespin" on it). As far as the payouts on this symbol are concerned, they are like the "Bonus" icon payouts, which means three of them adjacent to each other pay twice the total bet; four adjacent pays five times the total bet, and five in a row pays 50 times the total bet. You also are escorted into the Free Spins Bonus Game, in which you can earn anywhere from ten to 30 free spins on the Double O' Cash slots game, but which cannot be re-triggered once you're IN the bonus game. In other words, if you were to attain another Watch symbol combination, you would get MORE free spins as a result. Free Spins Bonus Game wins are added to payline wins. You can wager up to ten coins for each payline in this game. All told, you can win up to 100,000 coins. 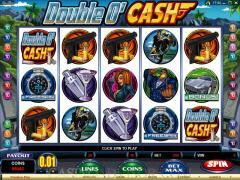 Interested in reading more detailed information about Double 'O Cash? If so Click Here for more details.